Google's own Nest Smart Thermostat company is known for its experiment in the smart home industry, but the company has had its share of failures: there've been issues with Nest smart thermostats, software updates that have bricked smart thermostat systems and cut off air conditioners and heating systems for some days. The Southeastern US is under a serious heat wave currently, which means that customers in those states south of the Mason-Dixon line need as much air conditioner and cool indoor conditions as possible. But, there are many things that Nest is doing right. Smart homes are the wave of the future as are solar panels/solar charging/solar energy, and what seems to be an experiment right now will become a way of life as future generations embrace cutting-edge technology. Smart homes will also help consumers save money as opposed to their current electricity bills (who doesn't want to save money? ), which is one factor that will push many to adopt smart homes, smart locks, and any other smart home technology to ensure a safe and comfortable way of life. Smartwatches and mobile wearables are also poised for market takeover by 2020, a time in which it seems that even smart homes will become even more popular than they are now -- so an abundance of smart wearables is a good sign for the future of the smart home industry. 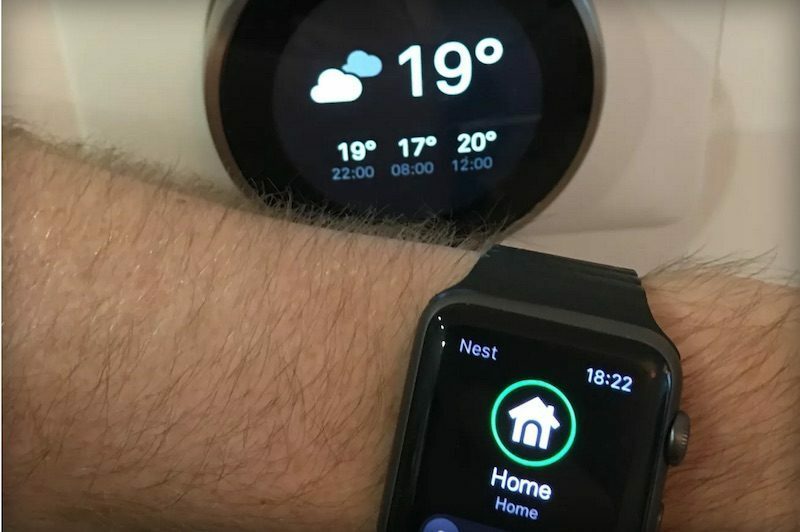 Nest has already added Android Wear compatibility to its Smart Thermostat, and after nearly 5 months, the company is back to bring compatibility to the Apple Watch. In the same way Android Wear users with an LG Watch Urbane, ASUS ZenWatch 2, second-gen. Moto 360, Huawei Watch, and others with your Nest smart thermostat, you can now use the Apple Watch with your Nest thermostat as well. After this year's upcoming Google Nexus phones announcement, perhaps Google will bring Nest thermostat compatibility to its upcoming Nexus Angelfish and Swordfish smartwatches running Google Assistant. For those who want to grab the update, head on over to your Nest app at the App Store (iOS) and update it. For those who want a quick travel over to the Nest app on iOS, you can go here instead and avoid the hassle. Did you grab the Nest thermostat update?